More than 140 years after her birth and 80 years after her death, Charlotte Maxeke’s legacy, pioneering and trendsetting spirit and torchbearer status, are still being felt across the Rainbow Nation. As we gear up for national elections on May 8th, how do our leaders and political parties sustain her legacy, her inspiration and courage? As she said,by not leaving behind the 26-million registered voters and all 58-million citizens. Our leaders and all of us can only do that if we all embrace Maxeke’s character and spirit. Charlotte Maxeke taught us that the liberation of humankind from prejudice, racism, hate, and resentment is an ongoing process. She preached that a strong family and a sense of community are central to building and maintaining a cohesive society. As one of South Africa's first black woman science graduates; the only woman who attended the launch of the South African Native National Congress (SANNC), now the African National Congress (ANC) in Bloemfontein in 1912; an early opponent of passes for black women who helped organise the anti-pass movement in Bloemfontein in 1913 and founded the Bantu Women’s League of the ANC in 1918 and as someone who participated in tribal courts; a privilege unheard of for a woman and the first Black woman to become a parole officer for juvenile delinquents, she was a trendsetter in her own right. No wonder her name has been given to the former Johannesburg Hospital which is now known as the Charlotte Maxeke Johannesburg Academic Hospital. The South African Navy submarine SAS Charlotte Maxeke was named after her. In 2015, the Gauteng government turned the Maxeke's home into a museum and interpretation centre. Beatrice Street in Durban was changed to Charlotte Maxeke Street in her honour. Maitland Street in Bloemfontein was renamed Charlotte Maxeke Street. There is a statue of her in the Pretoria's Garden of Remembrance. It is because of people like her that our country is a beacon of hope for women's rights the world over and I wish to applaud those who continue to champion this valuable cause. She worked tirelessly to advocate for racial and gender equality and inspired countless men and women to work in support of social justice issues. She wasn't in the spotlight. But she exerted her greatest influence in ways that many good women operate: quietly and persistently behind the scenes. Those who have encountered her have written that she never raised her voice. All around her, people would scream and carry on. They say she never got emotional, never shouted or cursed anyone. When disagreements would occur she would look around the room and everyone would go quiet. Listen to what she said at different times: “It is high time that the voice of black women be heard. They must ready themselves for a struggle,” she said at a meeting in 1917. The questions we need to ask ourselves are: Who amongst us might be the next one to take action, change the face of a nation, shake our collective conscience out of its complacency? Who will be the one to catalyse the next significant transformation of our schools, our workplaces, and our communities as Maxeke did. Indeed, what can we do to carry Charlotte Maxeke’s legacy? We can nurture leaders of tomorrow. Research has shown that those who lead in more nurturing ways can then exercise power more effectively. As we get empowered, sitting on the throne of economic, political and business influence and strength, let us tap into this to touch the lives of myriads of people. With moral conviction, a girl from the Village of Dwaars River in Ga Ramokgopa in Limpopo, Charlotte Makgomo Mannya-Maxeke, knew she was in the right, and that history would, one day, be on her side. Whether her act was born of certainty or uncertainty, hope or desperation, intense dignity or indignation, she stood her ground. As we celebrate her 148th birthday and 80 years since her passing this month, let us remember that her devotion to both the anti-apartheid movement and the women's rights movement stemmed not only from an innate sense of fairness, undying tenacity, and the courage to do what others believed could not be done, but a deep love of humanity and the desire to leave the human condition in better shape than what she found. Today as we continue to face momentous challenges across the spectrums of both race and gender, let us find strength and resolve in the lessons from Charlotte Maxeke’s life and work. Let us live up to the challenge of being the voice for the voiceless. Have the courage to stand for what's right, even if at times we stand alone like Charlotte Maxeke did. 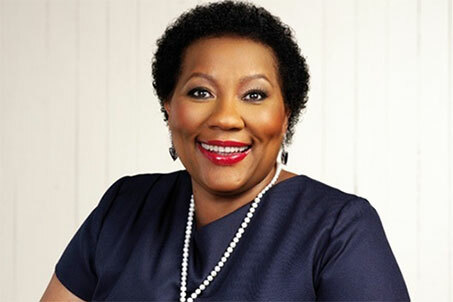 Dr Anna Mokgokong is chairperson of AfroCentric Health and Community Investment Holdings, owners of Medscheme and other health care providers. She delivered the annual Charlotte Maxeke Memorial Lecture at the University of South Africa this week to celebrate her 148th birthday.